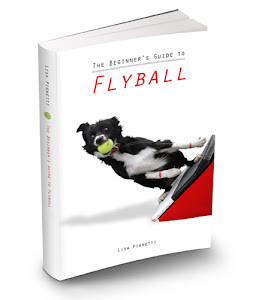 Thanks for all your insightful comments so far about "What Makes a Good Flyball Dog" (Topic #1) and about the format of the book in general. I have a lot to think about. The next topic is about finding or starting a flyball club. I actually have this topic split across several chapters, with some info targeted more towards newbies who are looking for a club, and other info targeted towards seasoned competitors who are looking to switch clubs for one reason or another. There are hundreds of flyball clubs all over North America, so chances are there’s at least one near you. If you find a flyball club in your area, don’t be shy about reaching out to them. They usually have their contact information posted prominently on their web site, and most clubs are on a never-ending quest for new teammates. If they’re not recruiting, they can probably point you to another club nearby who is. Some clubs offer formal classes in addition to their practices. They’ll usually charge for classes, but the good part is that you’ll get their undivided attention for an hour or so, whereas at practice they’ll just work you in where they can. What have I missed on this list? The rest of the newbie chapter discusses how, if you can't find a club near you, you can start your own club. 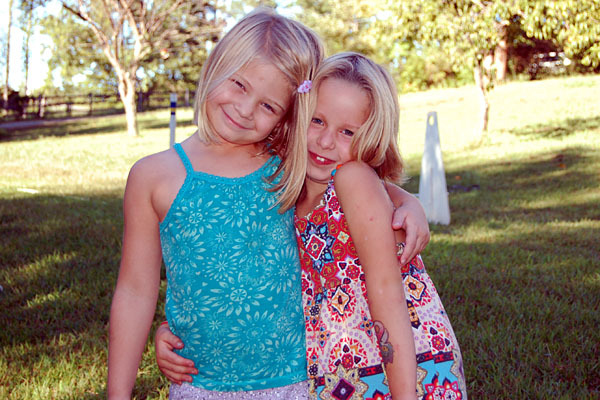 I walk them step by step through the process of starting a new club, including the paperwork they need to file with NAFA or U-FLI (which is actually quite easy and straightforward). Sometimes clubs split up because of differences in philosophy. This happens a lot, actually. Flyball, like any dog sport (or any sport, for that matter) comes with its share of drama and politics. Some clubs are very competitive and prefer to run for fast times instead of points. Others are more points oriented and like to split their fastest dogs up across teams to ensure everybody gets points. Some clubs do both – they will run a fast team in Division 1 made up of their four fastest dogs, then make up the rest of the teams with points and fun in mind. Some clubs are very serious and professional, while others are more laid back. The “professional” club may practice once or twice a week, and if you plan to miss a practice or tournament you better have a doctor’s note (just kidding…but not by much). The “laid back” club will get together when it’s convenient to practice and they’ll pick a few good tournaments a year that they want to go to. They often plan their tournament menu better than they organize their teams. If you ever go to a tournament and smell bacon cooking on a Saturday morning, it’s probably being made by somebody in a laid back club. People often start out together in a club because of geographic proximity – it makes sense to want to practice as close to home as possible. But what you can end up with is a group of people who live close to each other but don’t agree on their club goals. This usually leads to individual members jumping ship for another club, or, if enough people disagree, a club split. Club splits are actually good in some ways, because each group goes out on its own and teaches classes and recruits new members and in time the two clubs have a lot more people than the original club did or ever would have if they had all stayed together. Also, some clubs can become victims of their own success and just grow too big and unwieldy – when that happens it makes sense for a smaller group to spin off and form a new club. It’s important to find (or start) a club with people that you like and with whom you feel comfortable. A lot of flyball clubs become like a big family. You argue and complain like a family, too, but it’s okay (when you’re with the right people). It’s nice to find friends who share your crazy love for dogs. You can help each other train, offer advice and encouragement, help each other meet goals, and get each other through tough times. I also spend several pages discussing the various types of club structures -- I've been in clubs that were democracies and clubs that were benevolent dictatorships, and they each had their pros and cons. I'd love to hear your thoughts around this. What's your idea of a good club structure, and why? What has NOT worked for you in a club? What's the best way to handle finances? What's the best way to handle club disputes? Who in your club makes the lineups, and how do others provide feedback? Your philosophy is different from your club’s. Maybe they focus too much on their fast “A” team while you’d prefer to run for points, or you’re the one that’s become competitive while the rest of them could care less how fast they are as long as they’re consistently earning points. Or they want to travel to everything within an eight-hour radius and you just want to play locally. Personality differences. Sometimes people just don’t click. It’s not much fun spending lots of time with people you don’t get along with, especially if you have regular practices, frequent tournament weekends, or dinners out with the team. Location. If a new club starts up in your area (or you find some local flyball enthusiasts and start one yourself), it’s a good reason to switch clubs, especially if you’ve been driving a long distance to and from practices. You outgrow your team. Sometimes you really want to improve and take it to the next level, but your club can’t help you get there, so you look for a more experienced team who can take you under their wing and teach you a lot. I’ve been in a lot of flyball clubs over the years and have switched clubs for all of the above reasons. My general feeling about it is this – I play flyball for fun. It is my hobby and I’m supposed to be having a good time doing it. If it’s not fun, then what’s the point? Leaving a flyball club is sort of a cross between leaving a job and breaking up with a boyfriend/girlfriend. If you give the club enough notice (so that you’re not leaving them hanging for a tournament you’ve already committed to, for example) and you’re rational and calm as you explain why you’re switching clubs, it usually goes pretty well. Some people may get upset with you because they feel rejected by you, or because the club really needs your dogs (especially if you’re a height dog owner), but that’s sort of how it goes when you switch jobs, too. You can’t make everybody happy. The most important thing is that you’re happy. If you can be happy without burning bridges, more power to you. Try to leave on the best terms possible, though, because you are probably going to see your former club at every tournament you attend for many years to come. There’s enough drama in flyball already. If you can salvage the relationship, you may even be able to help each other out at tournaments (box load or shag balls for each other, for example), run together from time to time on an Open/Pickup team, or even practice together. What did I miss here? When should you leave a club? When have you left a club, and why (and looking back on it, was it the right decision)? Club issues can be touchy, so if you want to post anonymously or email me privately, that's fine. I left a club due to training differences. I believe that, while I appreciate advice and often take it, at the end of the day, it is up to me to decide how I want to train my dog. The club I was with insisted on me using their (outdated) training methods, and treated any new method I learned or tried out as almost an offensive invasion. It was much easier, and I believe better in the end, for me to switch to a new team. That said, I stay with my current team because I love the people and the atmosphere. They don't want to travel as often as me, but I have no problem with it, as I can almost always find an Open team to run with if I really want to attend a certain tournament. The single most important thing about starting a club (or joining one), to me, is to be upfront about your expectations. Ask how payment is arranged (split 6 ways, every time, split by number of heats, etc), ask how far the team normally travels, and how often. If starting a team, be consistant. Having one tournament's fees split evenly 6 ways, while the next tournament has fees split by the number of heats, is unpredictable and, IMO, unfair and offensive, as someone will always be benefiting from the difference in payment method. And, as a last point, I disagree with Anonymous above. Maybe the language should be lightened up so as to not scare away new people (or maybe have the switching clubs section in a different, later, book specifically about flyball club dynamics, which would be awesome). But, I was in flyball less than a year when I realized my club was not the right fit for me. I was unsure how to switch clubs, afraid of offending people, and not quite sure it was "okay" to do that. Oh, and editing note, the first paragraph of the second excerpt seems very unbalanced and awkward to me. - Where to find a flyball club. I think the best places for a new person should be the NAFA & U-FLI locators. I think it would be easier for someone new to have one-stop-shopping. However, not all clubs are listed in the locators. Besides the ones you mention, other places are Yahoo groups, Flyball Home Page, I-Flyball, Facebook. - In reference to someone finding tourneys and demos near them. The best place for someone new to find information might again be NAFA & U-FLI website tourney lists. One-stop. However, typically demos aren't listed here. In our area for both tourneys and demos we put up flyers, blurbs in local dog-related news papers and other papers, post the info. on our websites or on facebook and our local training facilities sometimes help promote the events. - Joining, starting or switching clubs. I like everything you've said and I also agree with K-Koira. The politics-aspect of flyball needs to be mentioned upfront to new people. Not necessarily the gritty details, but just an honest high-level explanation and a few examples, just like what you did. And, yes, the new person should also be upfront about their desires and expectations when they approach a club they might want to join (or a group of new folks thinking about forming a new club). I think this part is probably the most important thing a new person can do for themselves. Taking an active role in and taking responsibility for their own part in their flyball experience. - How about a section regarding the individual's responsibilities? Kind of related to my last comment above. I think it is up to each person to be open and honest and to communicate. And, I think this is probably the single most influential piece needed for a group of people being able to avoid (or at least reduce) unwanted drama and politics. I agree as a newbie 10 years ago that any serious discussion of politics would have frightened me to death. I believe that what is most important is finding a good "fit". If you go to one team's practice on several occassions and you are not comfortable then go to another. We are lucky in Region 21 to have options ... this means that new people can see different teams and find the one that is best for them. Just a thought that might want to include ...looking before you join. Not all clubs have as much drama, I believe if you touch on the subject it will be enough. Flyball is really a fun sport for both canine and human so the main goal is to attract people to our sport instead of chasing them away. Also talk about dedication to the club because of the time/money/work it takes to be a member. This sport takes dedication more so than say Agility because you need people. 6 dogs/handlers, stat taker, boxloader, shagger and coach/pass caller to do it right.